About a hundred kilometres long, River Vantaanjoki starts in Riihimäki, flows through six municipalities and empties into the Gulf of Finland, part of the Baltic Sea, at the City of Helsinki. 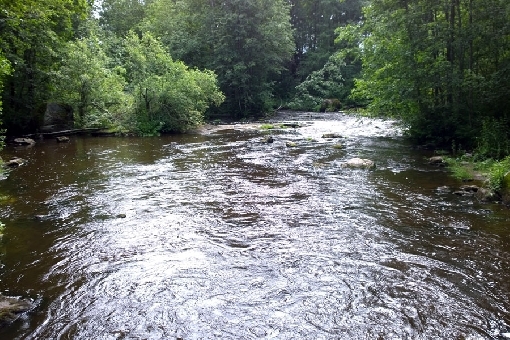 River Vantaanjoki is muddy by nature, but its waters can be quite clear in the summertime from around its middle section through to the headwaters. On the Käräjäkoski Rapids in Riihimäki, located in the headwaters of the river, fishing is almost like fishing on a brook. When moving downstream, the width and discharge of the river increase while fishing sites become longer and wider. Around its middle section, between Hyvinkää and Nurmijärvi, the river is home to several fishing sites in very verdant and grove-like natural surroundings. These sites are peaceful and you can spend all day fishing on the river without seeing any other anglers. There are campfire sites freely available to everyone at the fishing sites. The lower section of River Vantaanjoki flows near major population centres, between Vantaa and Helsinki. Regardless of the urban surroundings, you can still feel close to nature here, although you’ll also often find other anglers at these sites due to the location. River Vantaanjoki is within easy reach of the Helsinki Metropolitan area; the distances are short and downstream fishing sites are also easily accessible by public transport. 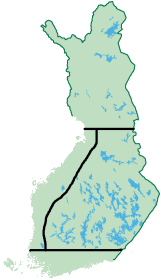 The river is among the most significant sea trout rivers emptying into the Gulf of Finland. The improved quality of water and rapids restoration projects have created good conditions for fishing and growing stocks of fish. Salmon and sea trout have begun to reproduce naturally and migratory fish can now rise up the main river channel all the way to the headwaters. Furthermore, the water system is home to special fishing areas restocked with highly valued species. 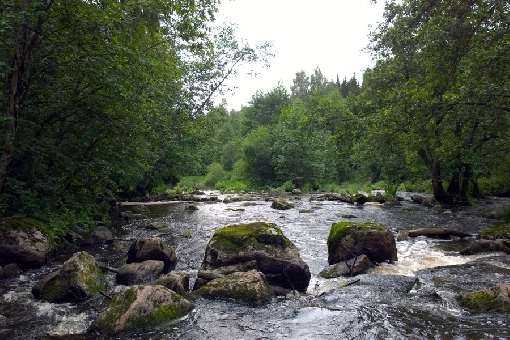 The most popular fishing sites in River Vantaanjoki include the Nukarinkoski, Myllykoski, Vantaankoski, Pitkäkoski and Vanhankaupunginkoski Rapids. 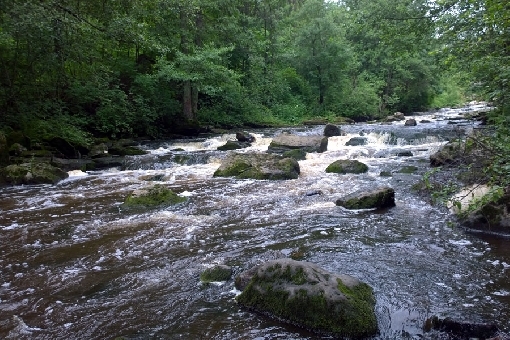 The largest tributary of River Vantaanjoki is River Keravanjoki, which is about 65 km long. The Kirkonkylänkoski and Tikkurilankoski Rapids in the lower section of the river have been equipped with fish ladders, which enable salmon and sea trout to rise upriver all the way to the Haarajoki River dam in Järvenpää. More than 6,000 fishing licences are sold for the River Vantaanjoki water system every year, while the total haul of fish exceeds 20,000 kilos. The most sought-after catch is sea trout, while the most common target species are rainbow trout, pike and perch. You may also catch species such as salmon, grayling and various cyprinids.